Does your husband or significant other enjoy wearing a tie? If they are anything like my husband, the answer is no. Having to wear a tie usually means at least an hour of watching Youtube videos and trying to figure out how to not only tie the tie, but getting it to look exactly like he wants it to look. In the end, this is usually frustration for all involved and the ties collecting dust in the back of our closet. 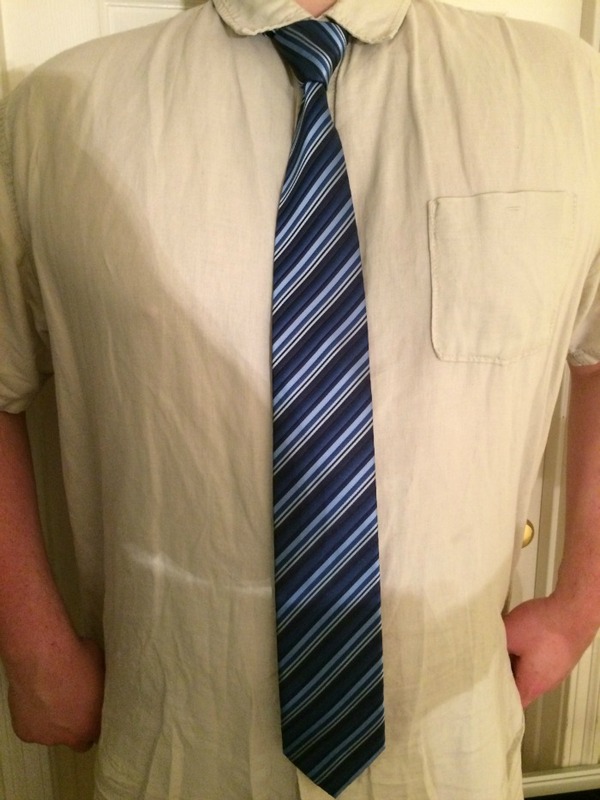 Wouldn’t it be great if there was a way to make wearing a tie easy without getting rid of the look of wearing a high quality tie (sorry clip-on ties, you don’t look that great). 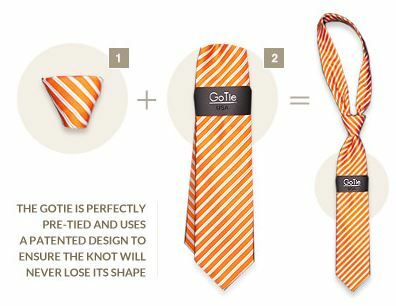 Recently, we discovered the perfect tie for guys everywhere – the GoTie! Like the look of a tie but not the stress that comes from wearing one? If so, we think you will love GoTie – The Tie, Reinvented™. These innovative, adjustable ties employs patented slide-knot technology that allows you to tie the perfect knot every time. Best of all, they look, feel, and wear like high quality traditional ties, allowing you to have the look of a designer tie without the hassle of trying to figure out how to tie a tie. Gone are the days of watching Youtube to learn how to tie a tie with GoTie! Best of all, the tie looks great on any guy, no matter if they are 5′ or 7′ tall! To learn more, make sure to check out the video below! Okay, I have to say that these ties are some of the coolest items for guys I have seen in a long time. My husband hates any time he has to wear a tie and it is usually, at least, a half hour of frustration to get it tied and looking exactly as he wants it, especially when he was going to an interview. With these ties, he was able to get on a tie in almost no time at all, taking a lot of stress out of getting dressed up, especially since my husband would do just about anything to avoid wearing at tie! Best of all, all the designs look great, and some even look like some of his previous favorite tie designs (that he hates tying). Really, their patented slide-knot really makes these ties a lifesaver for guys. Based on our own experience, we are delighted to give GoTie an A+ rating! Want to purchase some of these awesome ties for a guy in your life? 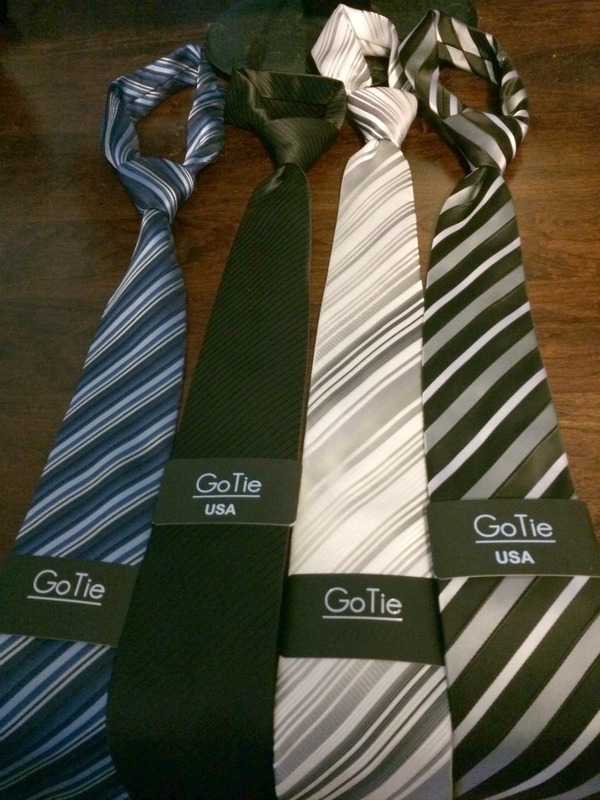 Head over to the GoTie website to see their amazing variety of ties, all of which are affordable, high quality, and look great! We think as soon as you see these ties, you will never think of putting on a tie the same way again! Want to learn more? Check out GoTie on Social Media! Ties look ridiculously complicated to put on for guys, so this is awesome! These sound like great ties and thank you for this review! Great gift idea. My husband has taught my son to tie a tie, but I think he would prefer these. They look so much easier. My nephew has to wear a tie when he goes to school. I think these ties would be perfect for him. I love these ties and would make my life so much easier. I can never figure out how to tie a tie correctly so once it is done we usually leave it tied and slip it off. What a great idea! I can tie a tie but my husband cannot. So I have to tie his tie before we go out, or to church. It would be so nice to have something like this. I went to their site and they have such great colors and patterns. I am totally impressed. That is really nifty. My husband was mitary, and tying a tie doesnt bother him but he fiddles around with it until it is perfect. I like the looks of these and they would be perfect first try. Absolutely love this! I will recommend this to all my friends and family. Such an awesome way to always have the perfect tie each time! So classy and useful! my husband would just love this. i love their selection of ties. my husband needs to wear ties every day to work. This seems like such a great solution for any guy! These may be found under the Christmas tree this year hah! Oh this would be perfect for my son for work! He does not like putting on the ties and getting them tied correctly. He would love this! All I can say is why didn’t I think of this ? !y ex husband may have been on time and not lost soooooo many jobs! Well done. This is the best invention yet and everyone can do it ! Why didnt anyone this of this before ? What great designs and a tie that never has to be tied snow that is just genius. Do people still wear ties? Luckily my husband doesn’t have to wear them, they really aren’t very comfortable to wear. That’s a clever invention. I remember having to wear a tie with my band uniform and always had to have help. This makes so much sense because so many men hate to tie ties! Love the colors & stripes. I never really understood the purpose of the necktie. Anyone know? It’s actually my 13 year old son that need to wear ties and he would love this. I can’t tie a tie to save my life. We always have to watch a tutorial on you tube to get it right. We need this! The ties are great. I really like the quality and trendiness. These look like a really great quality ties! My husband has trouble with his ties so these would be a great gift! So awesome! I actually learned how to tie a tie while working at a restaurant that thought it was cute making us wear them lol. I can remember getting so mad when I couldn’t tie it right!! I can’t even imagine doing it every morning in a corporate setting!! This is such a great invention!! Wow, my husband would love this! It would make getting dressed so much easier! Thank you for the review. My husband likes to dress up sometimes and wear a tie. Go Tie makes a very high quality tie. They are very nice gift givers. I give thumbs up on stitching. These ties look great. Thank you for the chance to win!!! Nice. Looks much nicer than the old clip ons, but just as easy to use.